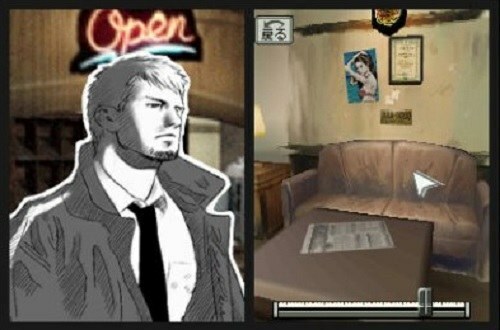 Hotel Dusk: Room 215 is part of the point and click genre and is available on the Nintendo DS. 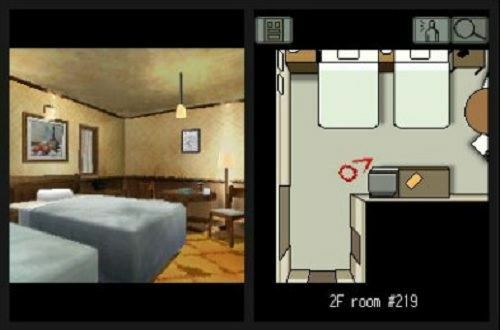 The game launched 2007 and lets players explore the mysterious origins of a strange hotel. Large sections of the game take place in the fictional hotel located in the south west (United States) called Hotel Dusk. The adventure follows Kyle Hyde a former officer of the law who has gone hunting for his partner. Kyle has stopped at Hotel Dusk on the chance of a lead that might finally solve the case beyond the death of his partner. The story has plenty of clichés on the surface but takes a strange twist when this lead ends up being a hotel room that grants wishes, adding a fantasy element to the game. Gameplay plays out like the puzzle adventure games of old and uses a point and click style interface. Players must guide Kyle Hade around the game world while interacting with the environment by using the DS touch screen. Uncovering the truth requires a lot of detective work by the player. This involves the collecting of clues, finding particular items and asking the right questions of the NPCs in the game world for important pieces of information. NPCs can’t be constantly accused though so players will need significant evidence or reasons to pursue a conversation tree otherwise they will anger the NPC and potentially miss out on vital information. Puzzles form the rest of the gameplay in Hotel Dusk: Room 215 with many standard puzzles to solve throughout the adventure. Players can also keep notes in their journal which gives players several pages to help their investigation. Hotel Dusk is a really fun adventure with puzzle and detective elements that create a very well-rounded game experience. Great use of dialogue for clues.